A start-up Ukrainian carrier Anda Air has made its first test flight. 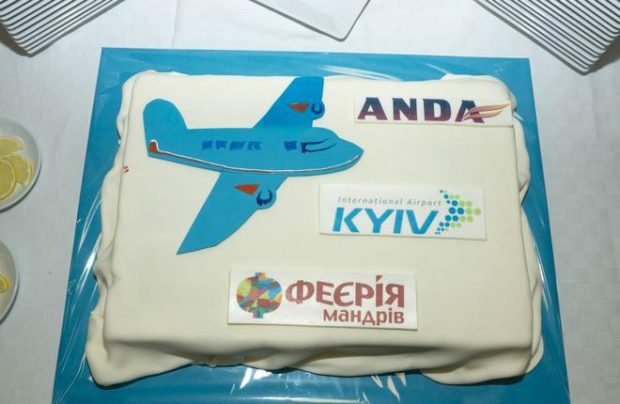 On October 15 Anda Air flew from Kyiv to Marsa Alam in Egypt, reported the carrier’s base airport, Kyiv’s Igor Sikorsky Airport, formerly known as Zhulyany. Commercial flights to this destination launched jointly with the local Feerie travel agency will be operated once a week, on Sundays, starting October 23. Along with the designation for Egypt, received in late September, the carrier got approval for flying to Jordan. Within its charter program to Jordan, starting October 22 until January 14, Anda Air will operate a weekly flight to Akaba. It may be extended as long as there is sufficient demand. Feerie is the carrier’s partner on this project as well. The airline plans to introduce one or two aircraft in spring, to be able to launch new charter routes. Further fleet expansion will depend on demand. The airline’s management earlier mentioned plans to start operations of Boeing 737-400 and Boeing 737-800. Next year Anda Air intends to start flying to Montenegro and Bulgaria. Other destinations are also being considered, with Turkey and Croatia being the most promising ones. The carrier is also negotiating with the airport of Kryvyi Rih, in Ukraine’s Dnipropetrovsk region, regarding launching regular flights, including to international destinations, within the next couple of years. Anda Air was founded at the end of last year and received approval for passenger transportation this September. Besides the MD-83 the carrier’s air operator certificate includes a Hawker Beechcraft Premier 1A business jet with tail number UR-NST.